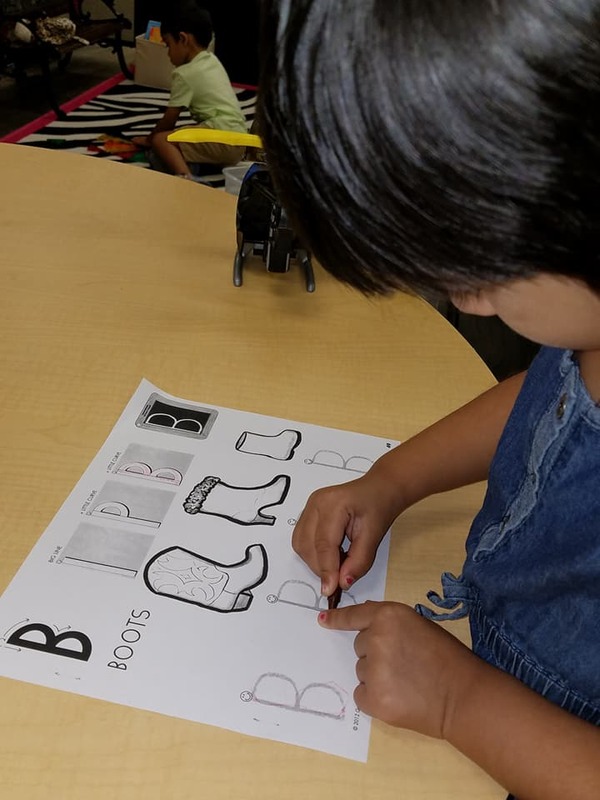 Letter, number and color recognition pave this important preschool year. Literacy begins with letter part strokes and we repetitively familiarize those in so many fun ways. (The letter of the day drawn with every medium from watercolors to shaving cream!) 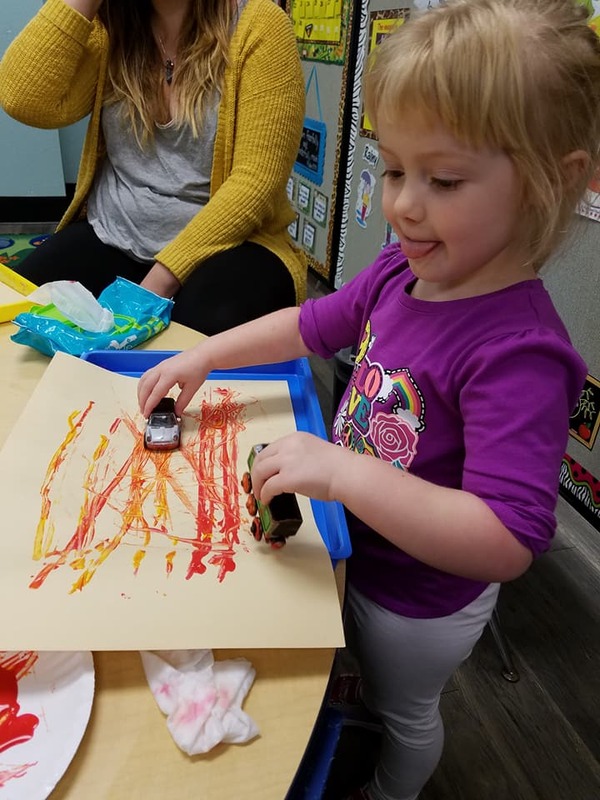 We practice fine motor skills with games…chop sticks, tweezers and eye lash curlers are just some sneaky ways to strengthen their hands and fingers in prep for writing. Early math begins with sorting and patterning. 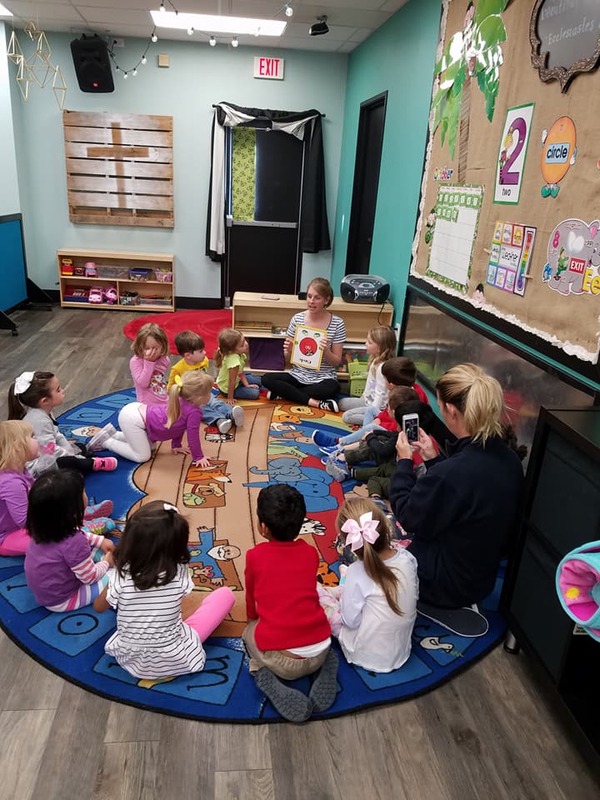 Daily small groups sit with the teacher (2-4 students), so your child is guided at their level to grow. Your student is always excited as we reinforce new concepts with unexpected new activities. Kidz World loves to be silly and get messy in their creativity. (You'll love that the mess is made here!) Your child has fun, feels safe and loved. Most students funnel into a traditional school so their spiritual education here is a true priority. We want your graduate to know Jesus, know God made them and their families, know that God has plans for them and know they can always talk to Him.